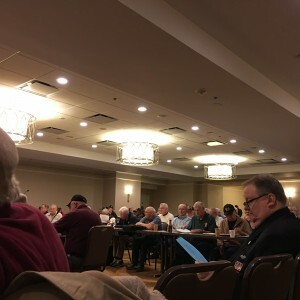 Attending the national meeting of the Board of Directora of the Vietnam Veterans of America in Silver Spring, MD. National President of VVA John Rowan says Clinton, Sanders and Trump support Toxic Exposure Research Act. Both Dems and Repubs have active Veteran’s committees. Encourages political activity by all members. Organization is of course nonpartisan.